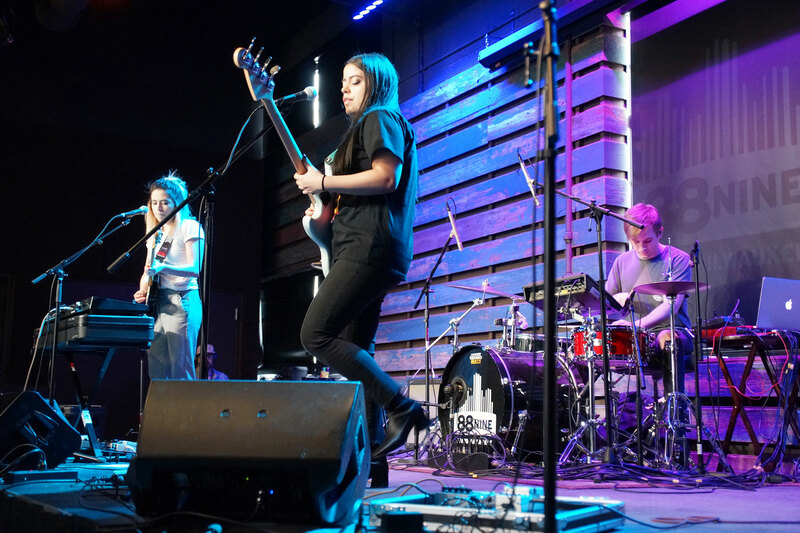 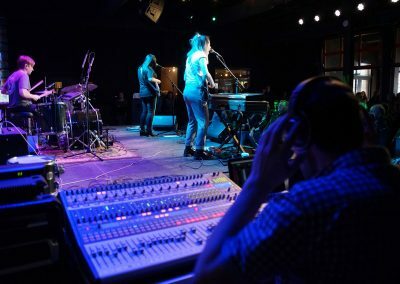 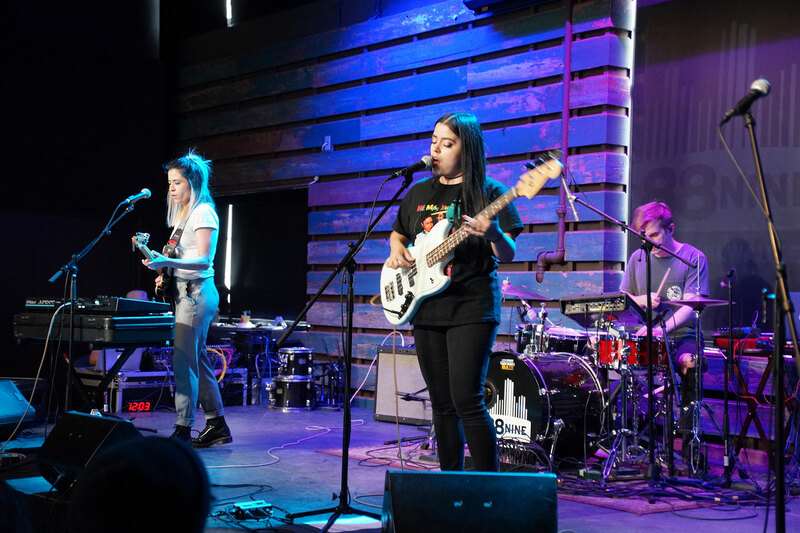 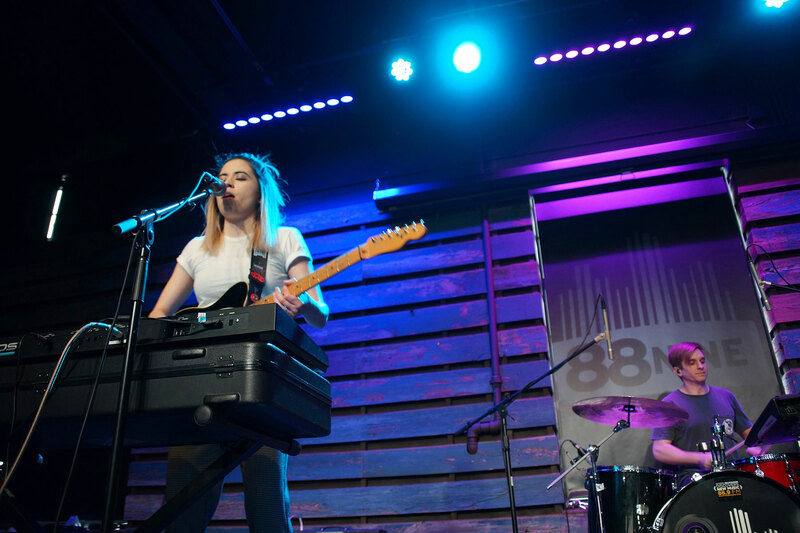 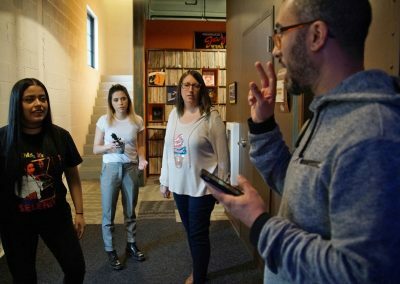 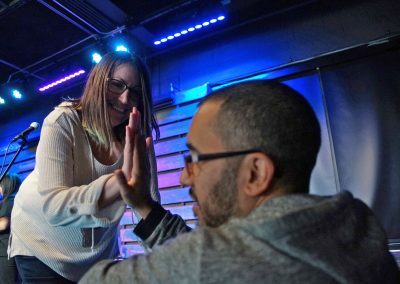 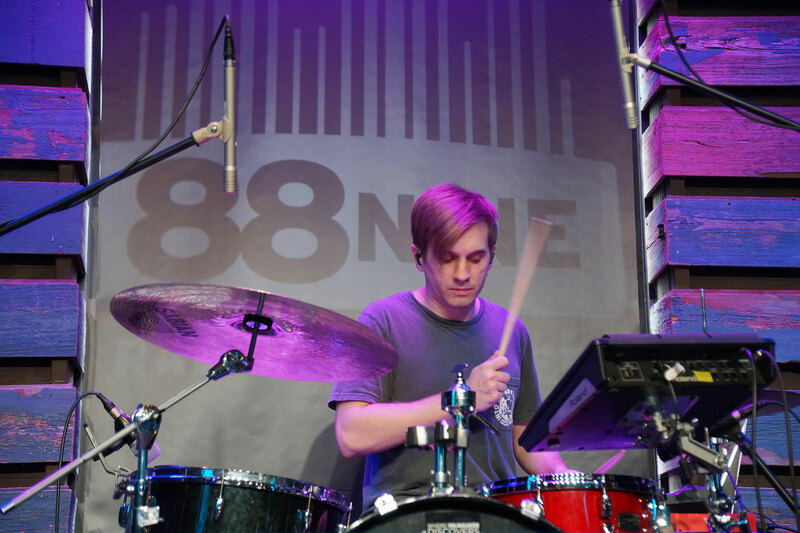 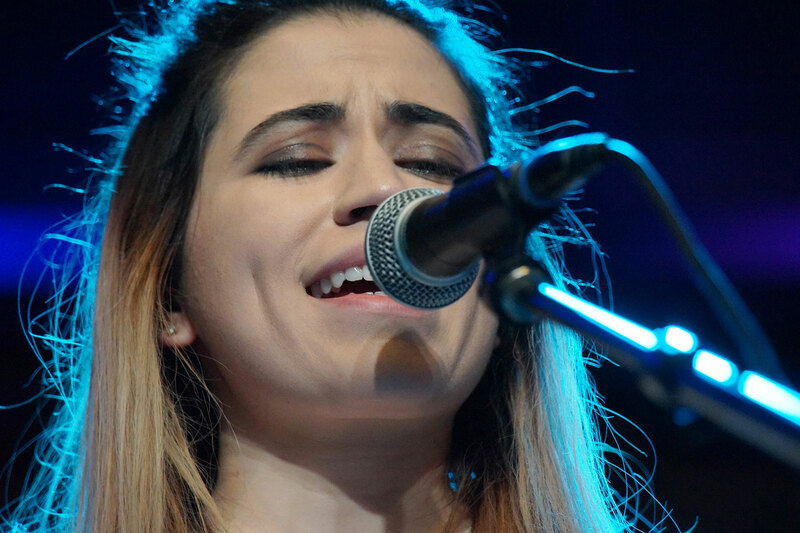 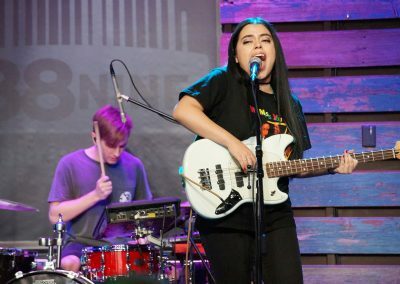 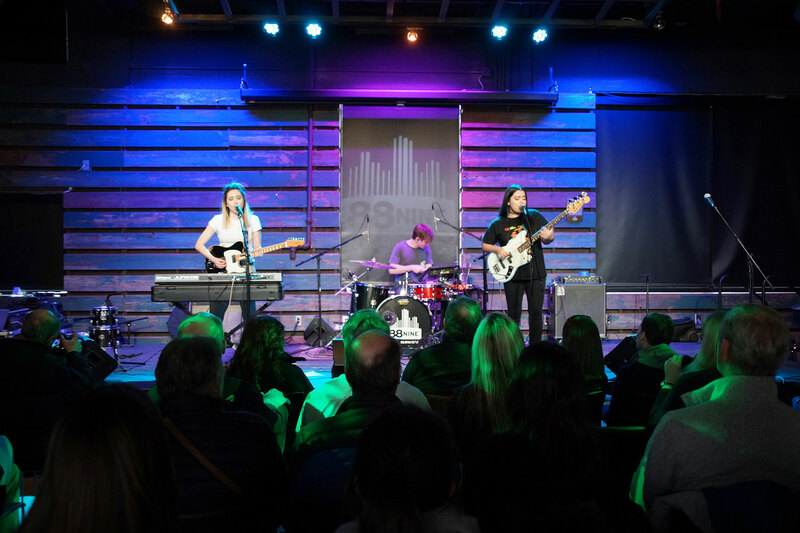 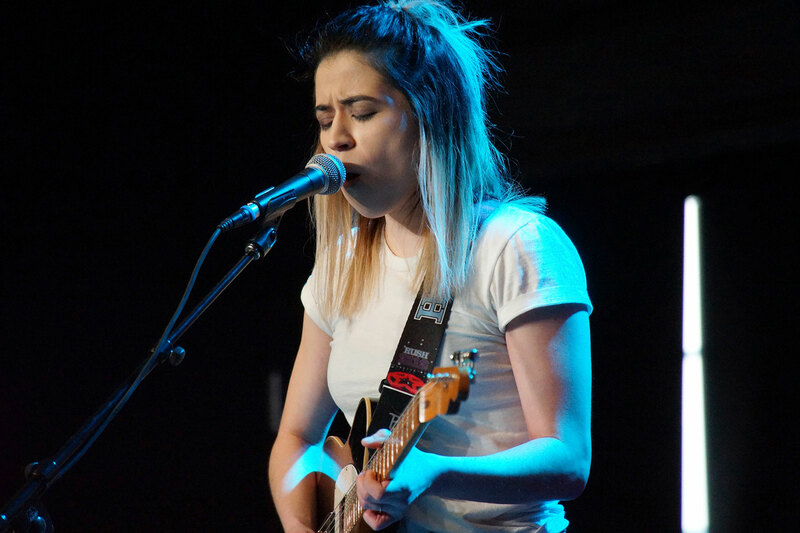 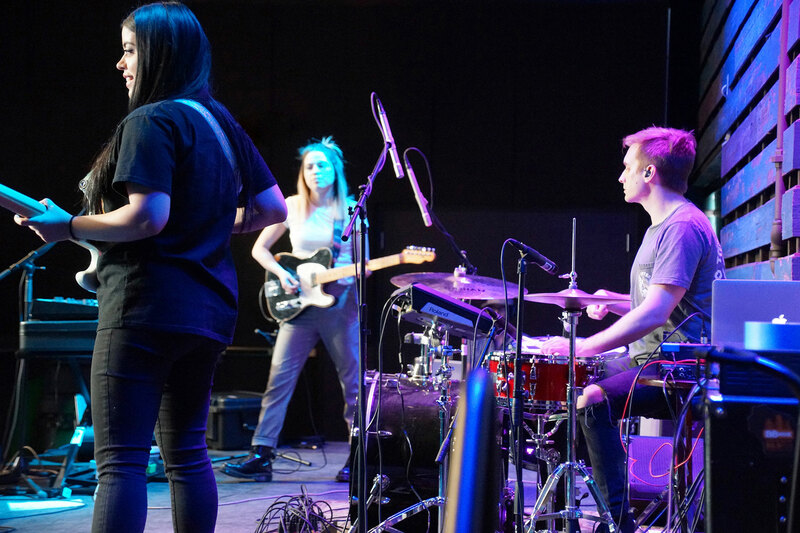 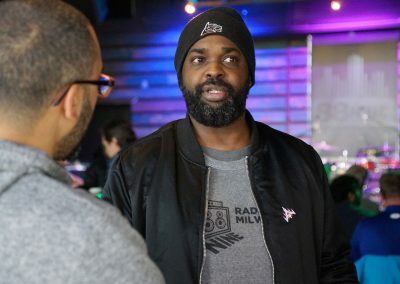 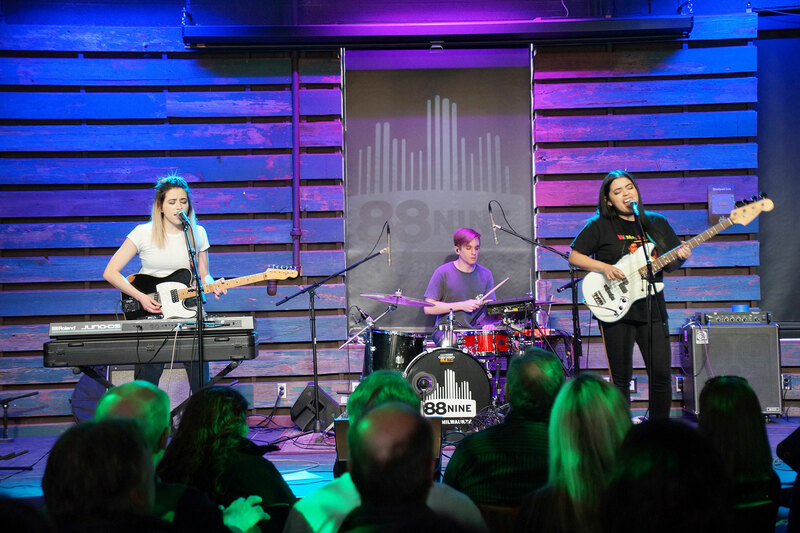 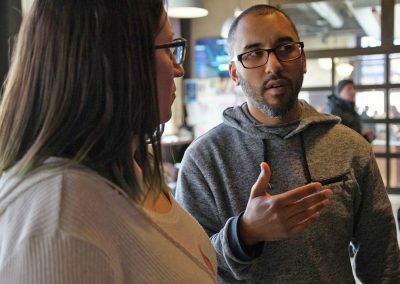 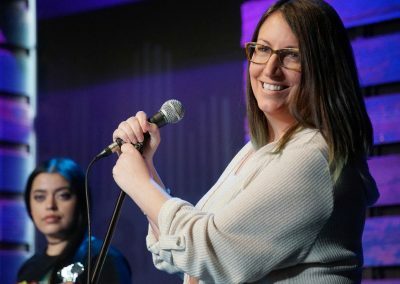 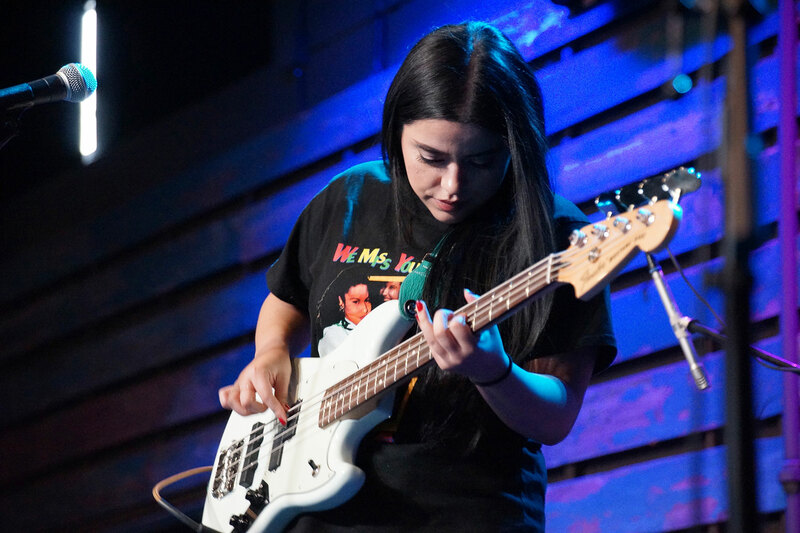 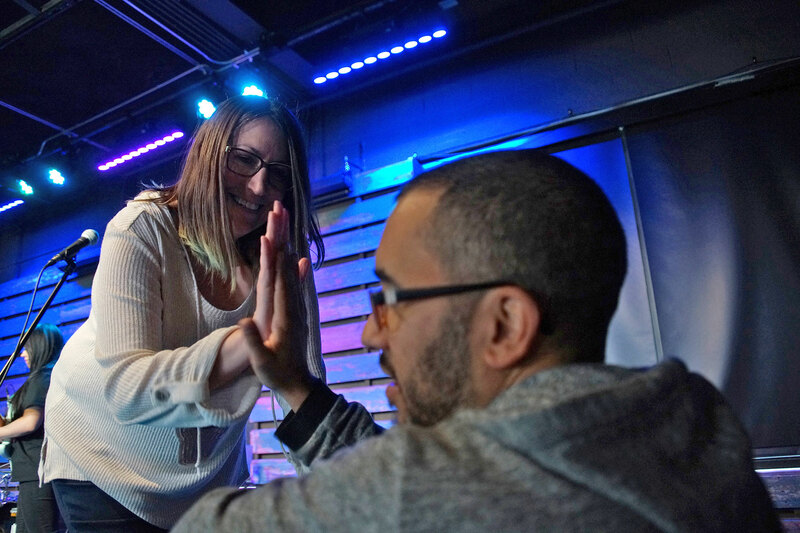 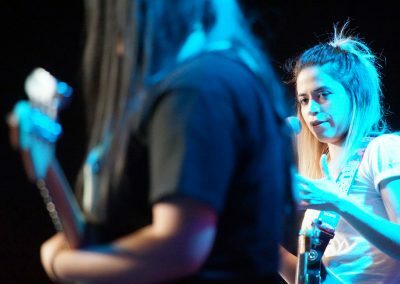 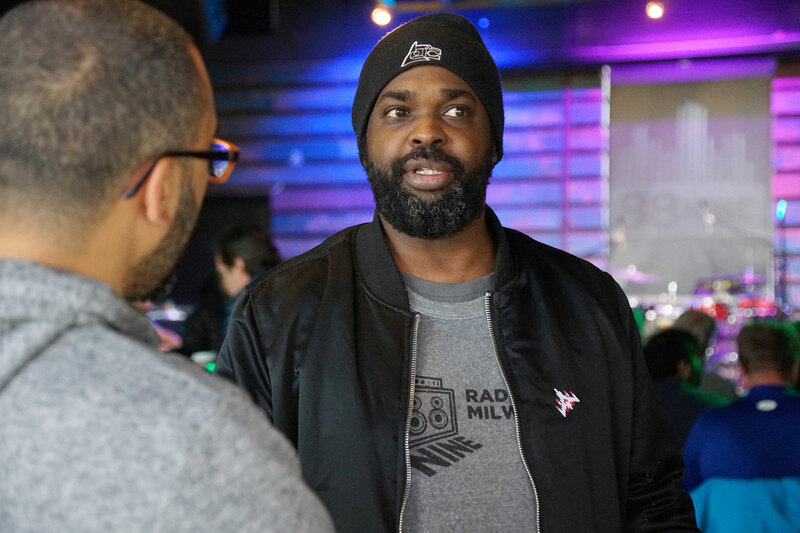 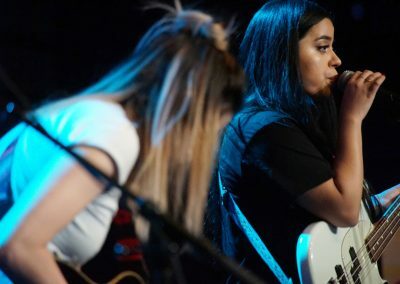 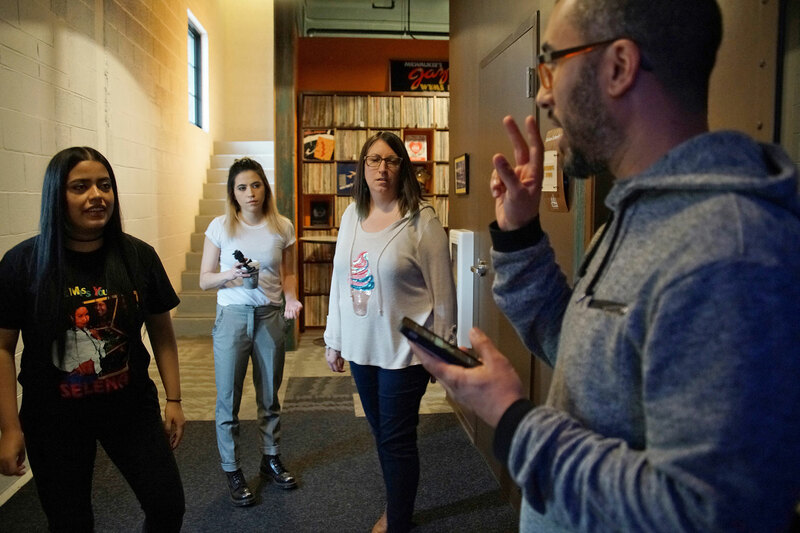 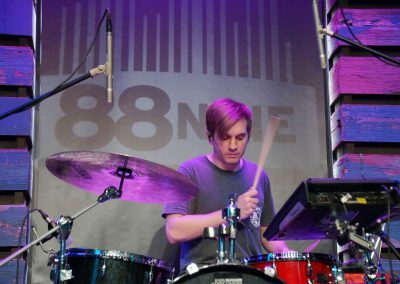 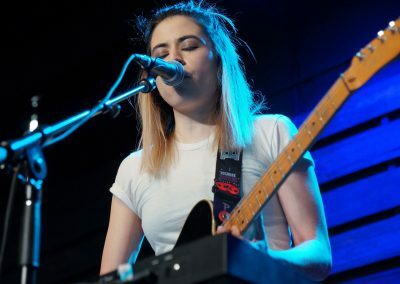 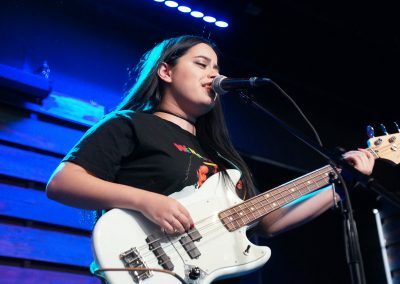 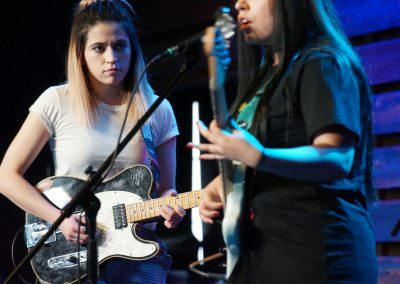 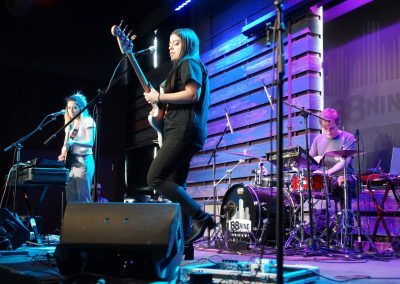 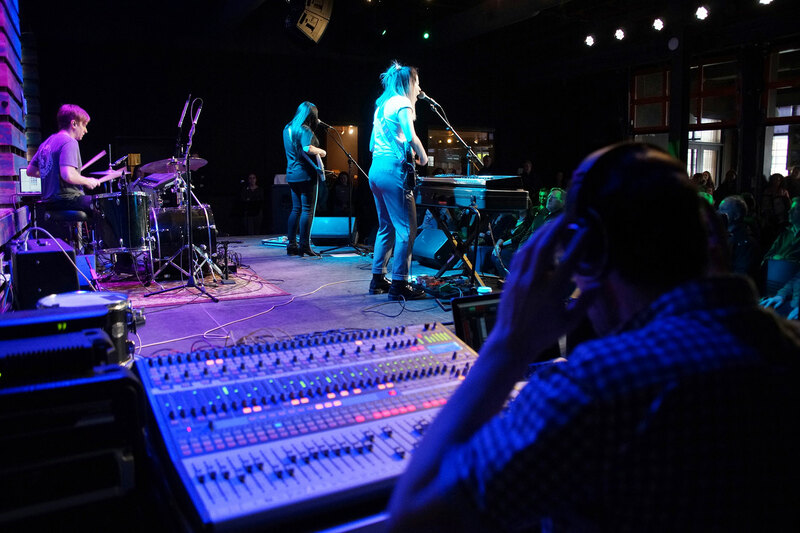 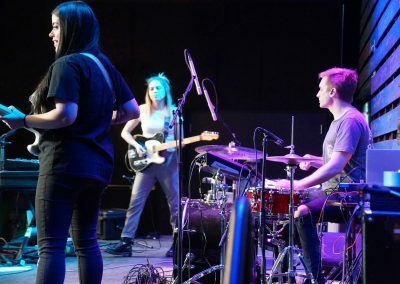 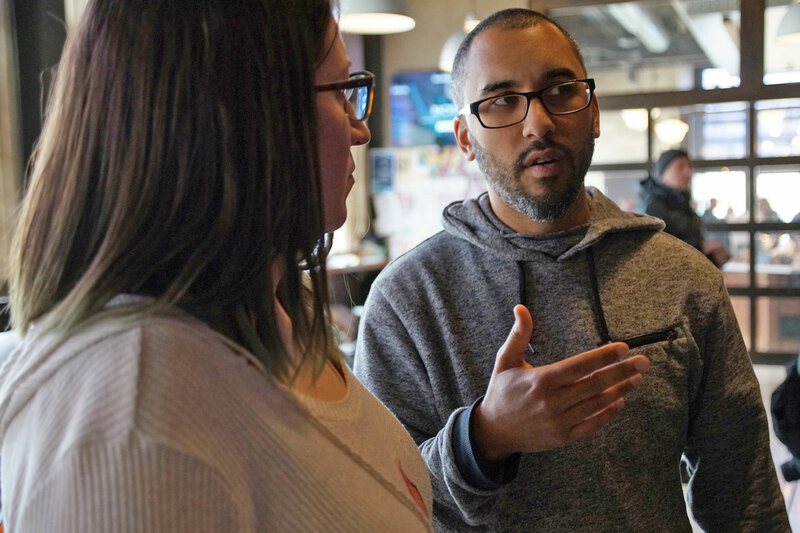 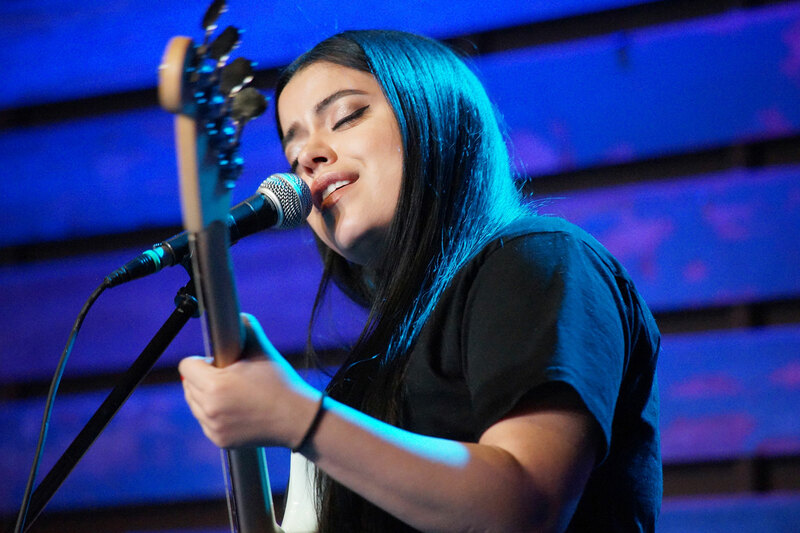 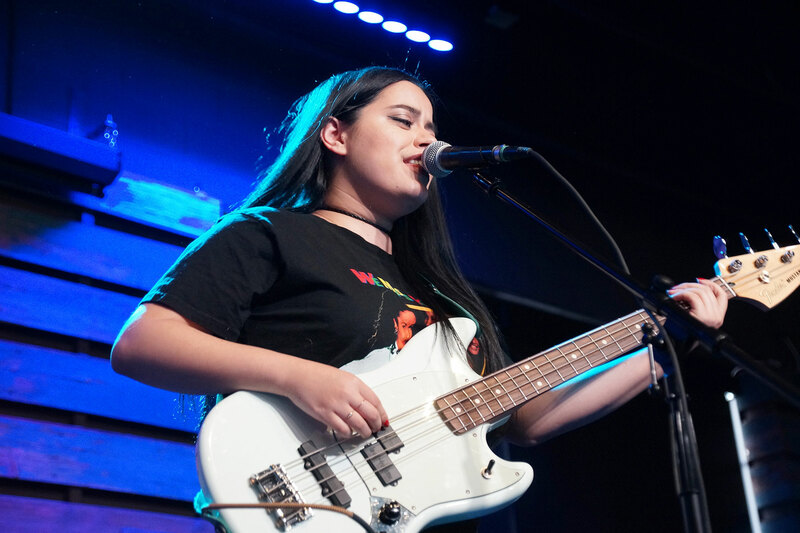 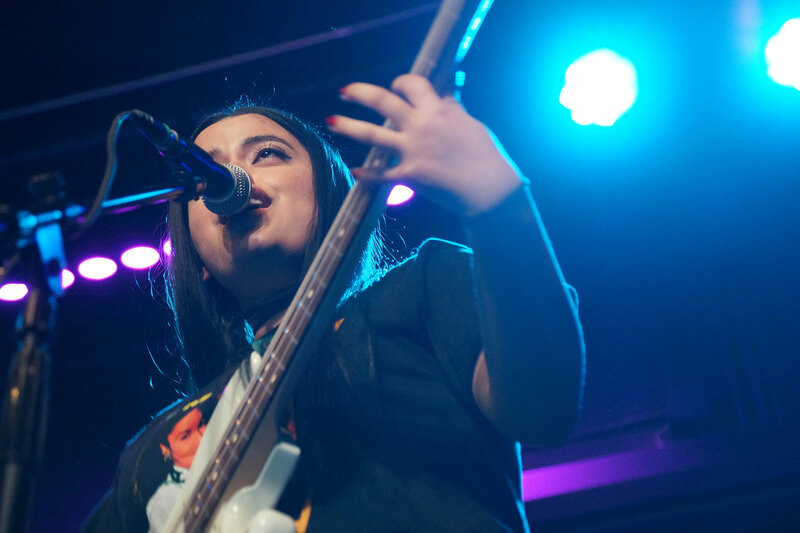 88Nine RadioMilwaukee hosted its Studio Milwaukee series to a full house on April 6 with the synth-pop sound of Reyna. 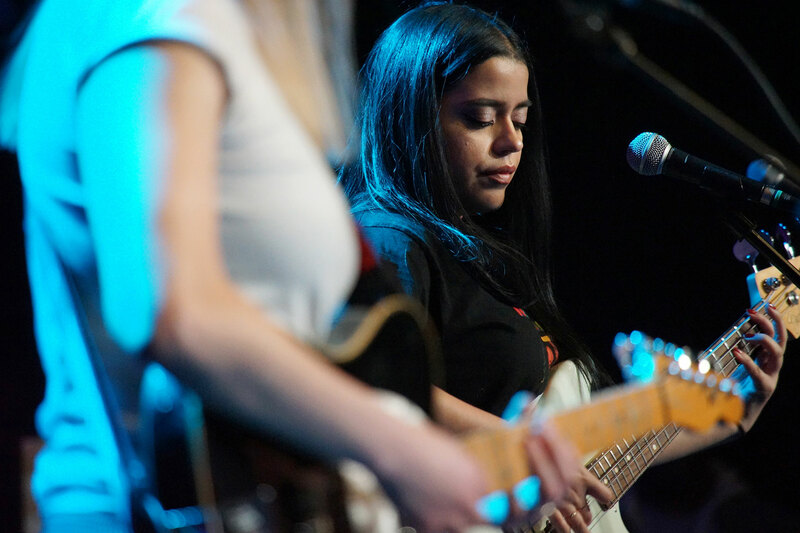 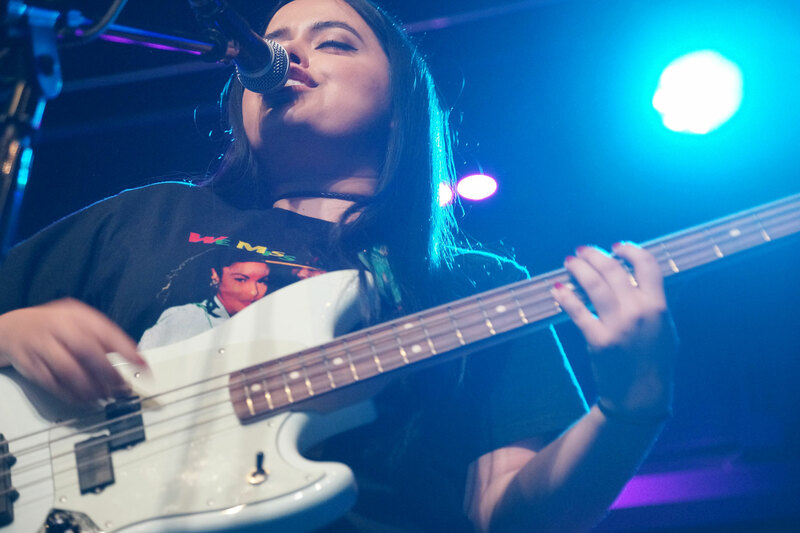 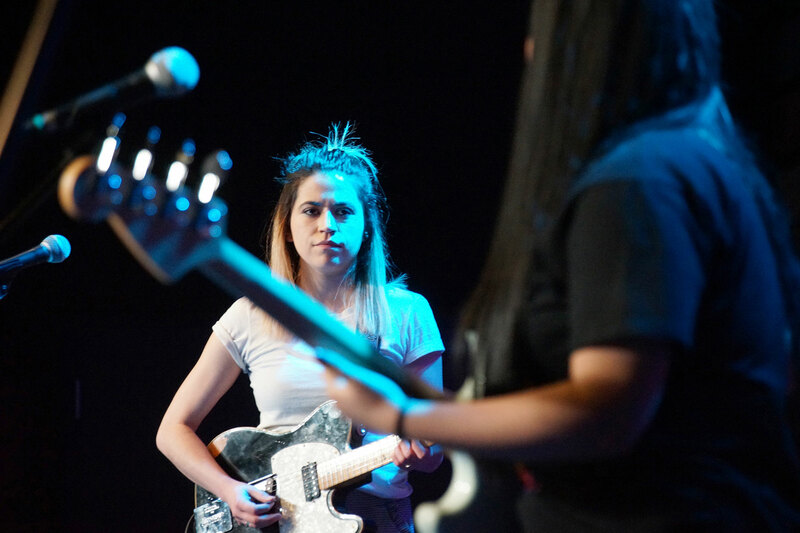 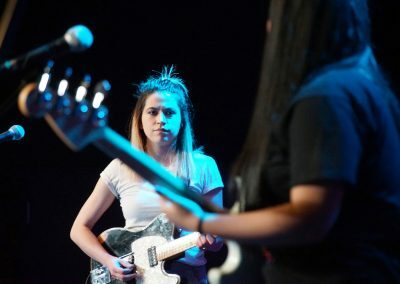 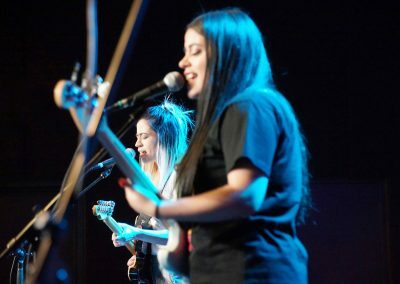 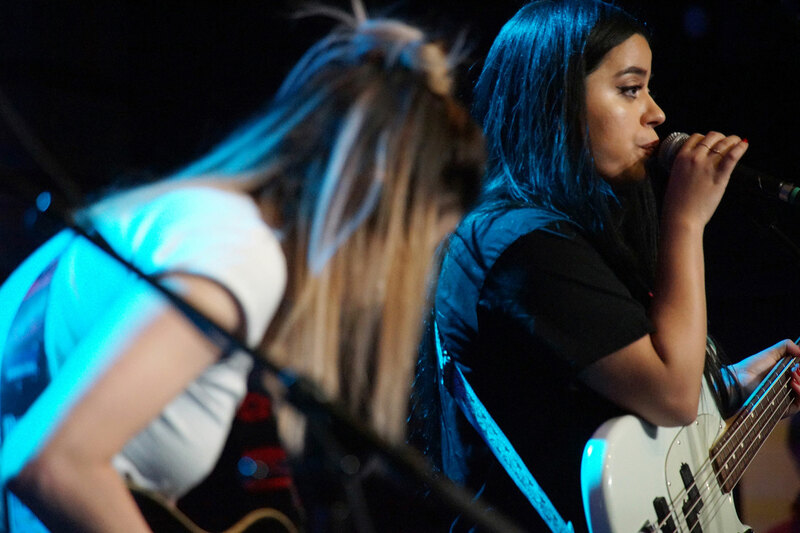 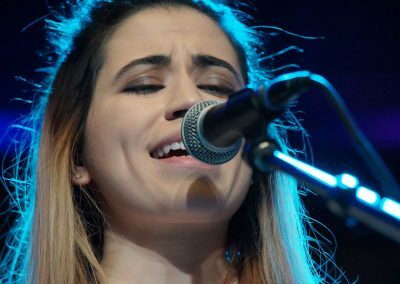 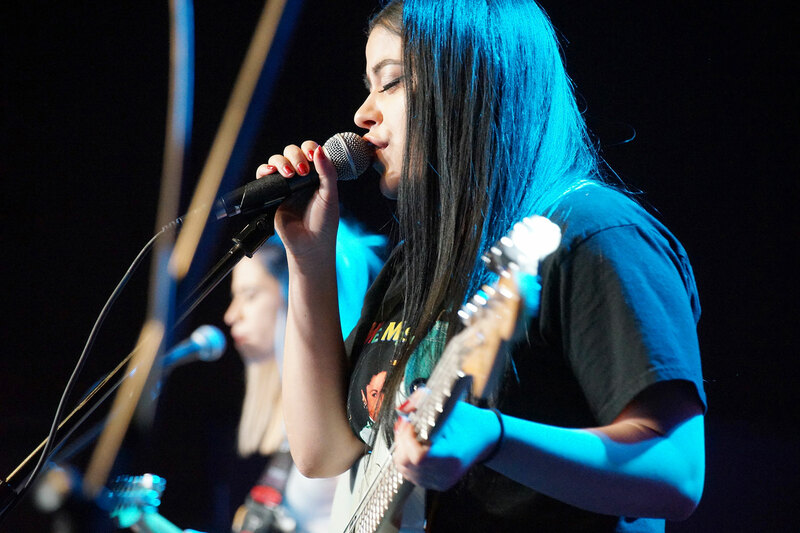 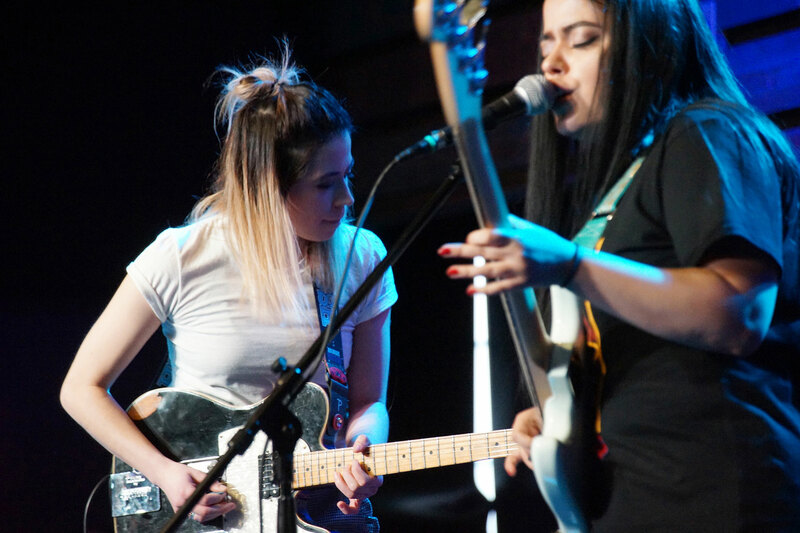 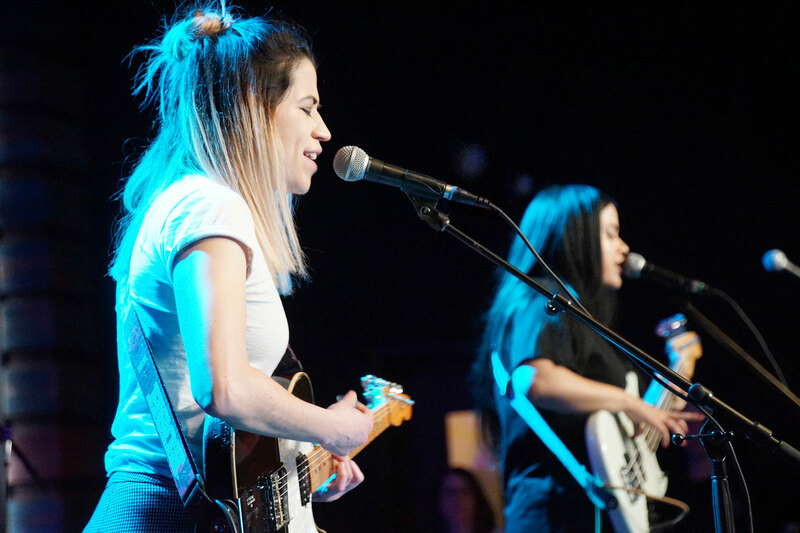 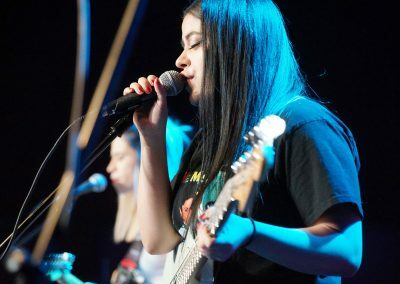 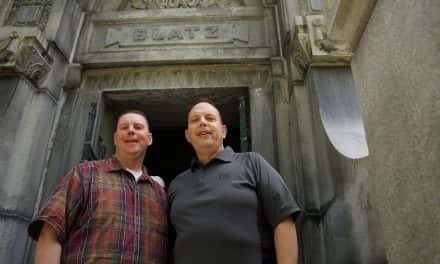 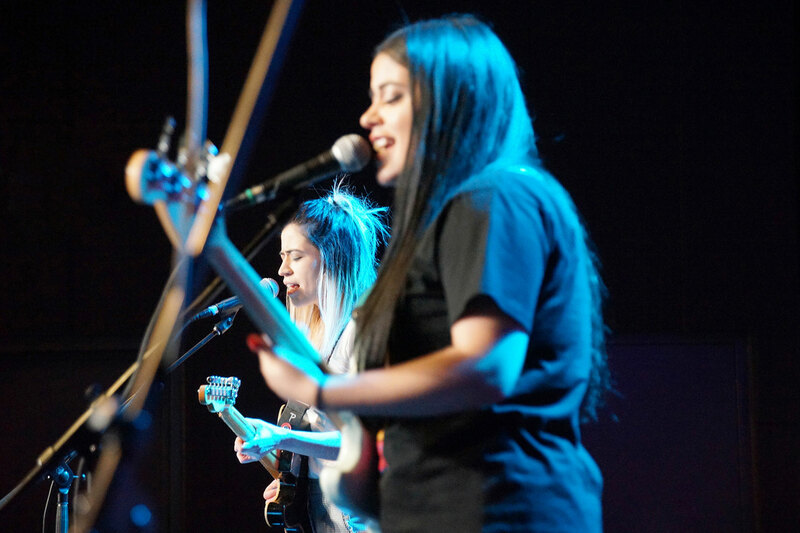 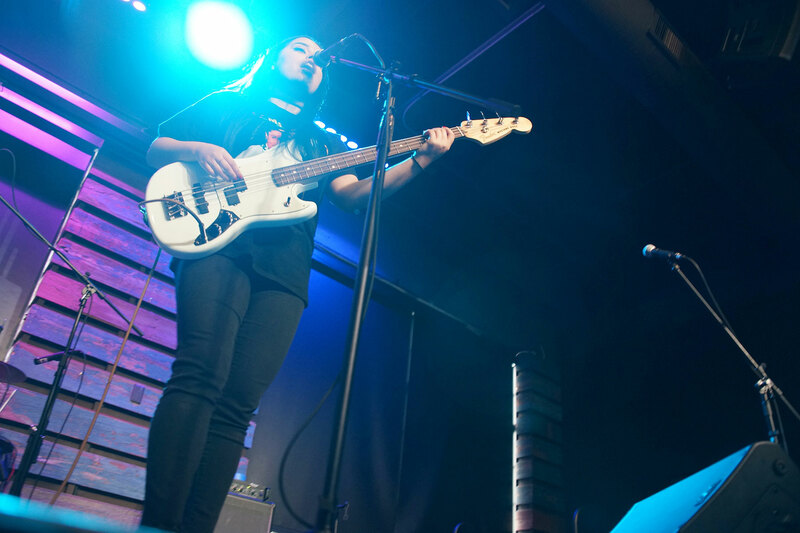 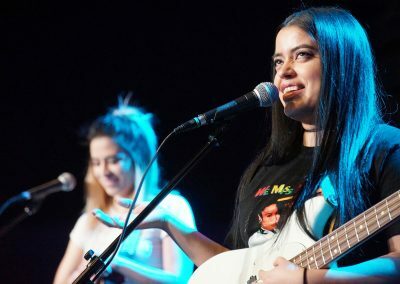 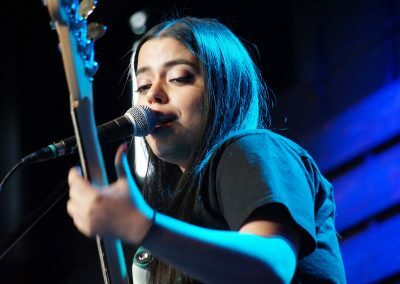 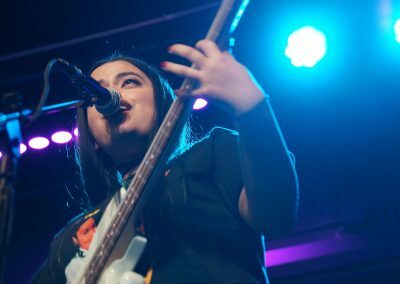 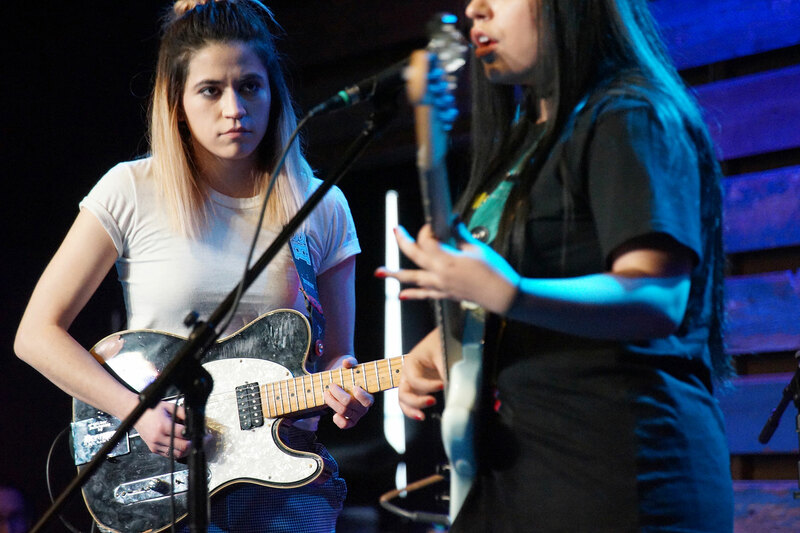 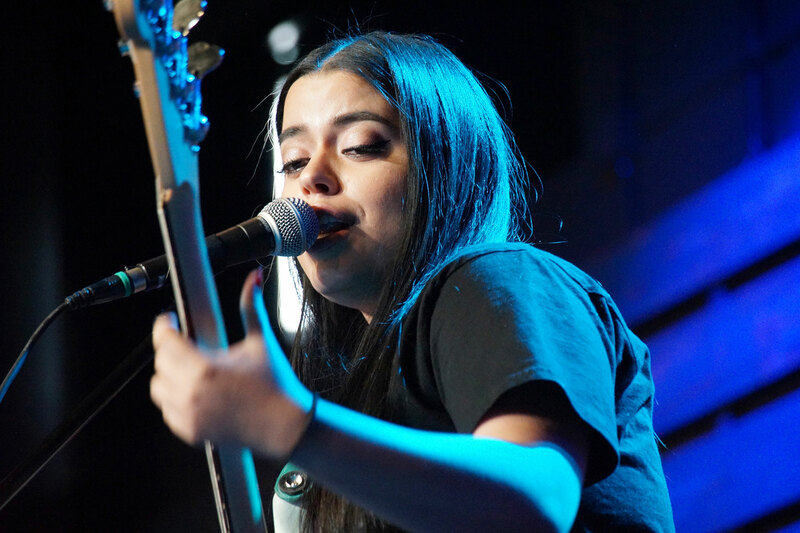 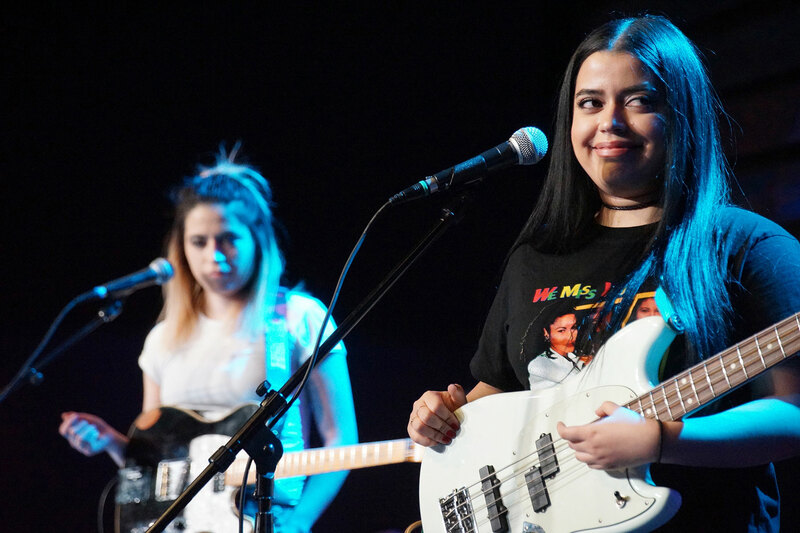 Victoriah “Vic” and Hannah Gabriela “Gabby” Banuelos were one of Milwaukee’s most popular bands as Vic and Gab. 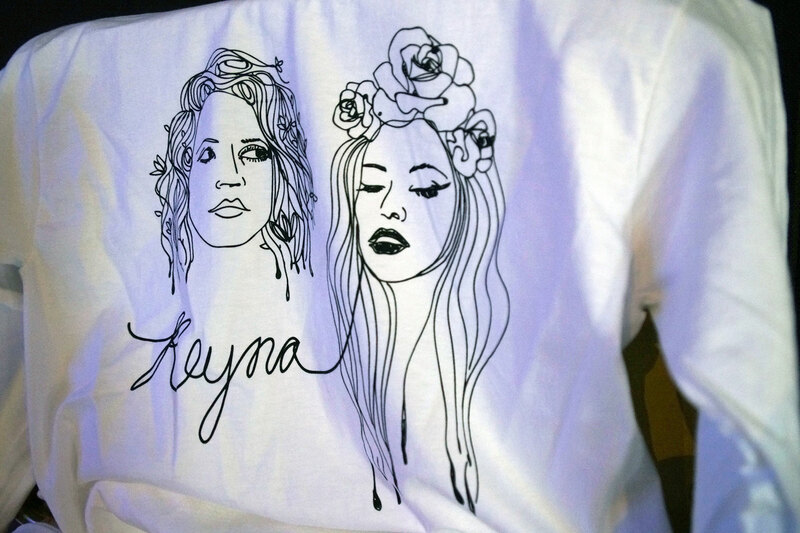 After their final show in October 2015 under that name, the group transitioned into Reyna, which means ‘queen’ in Spanish. 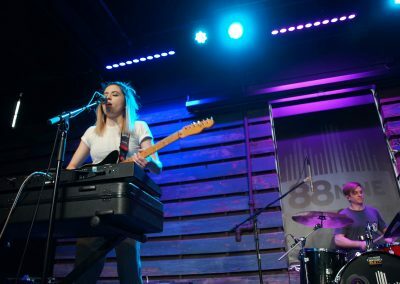 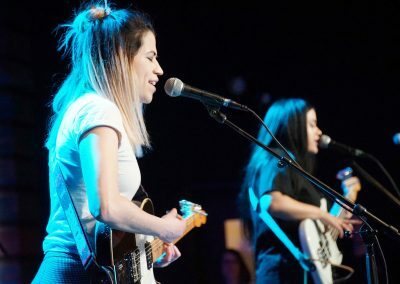 The 88Nine performance on April 6 was a preview for the sister-duo’s evening concert at Company Brewing, with Siren from New Age Narcissism. 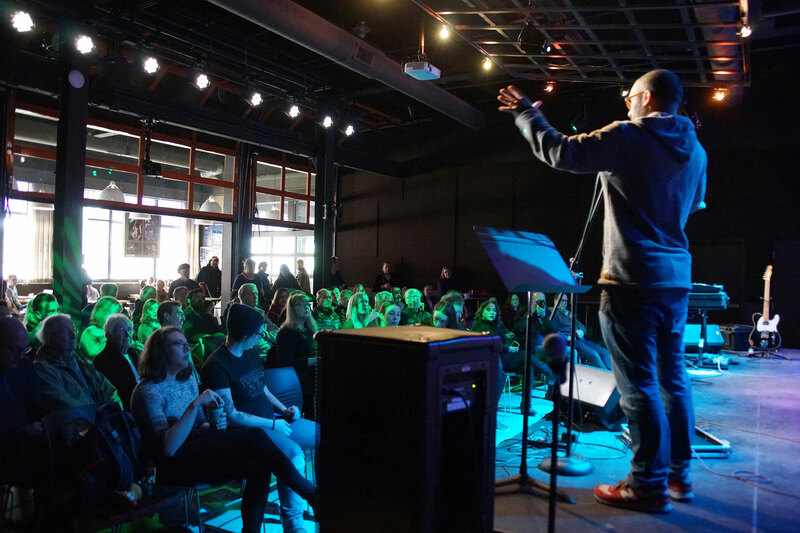 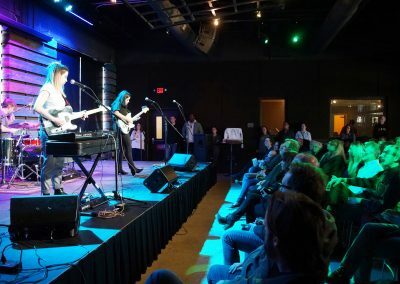 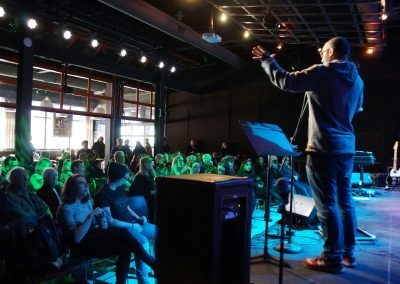 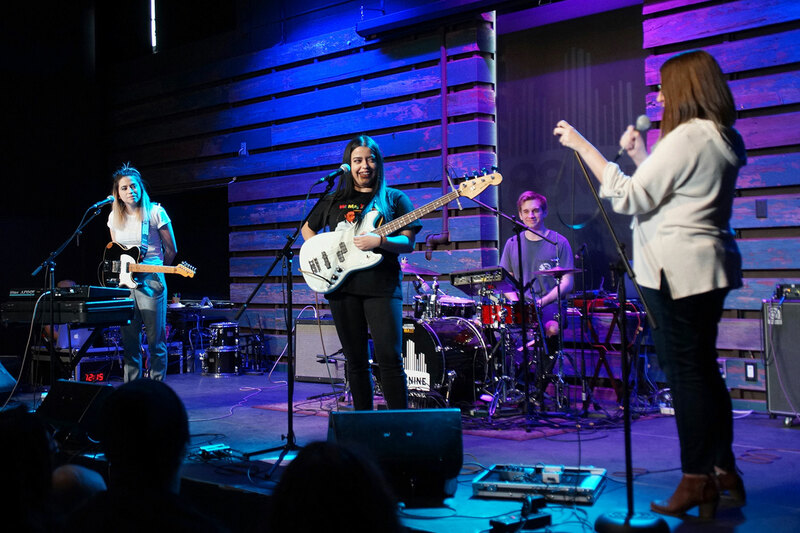 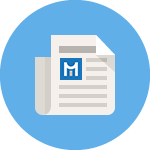 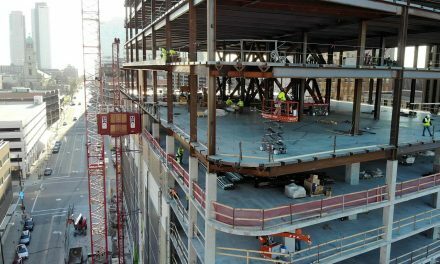 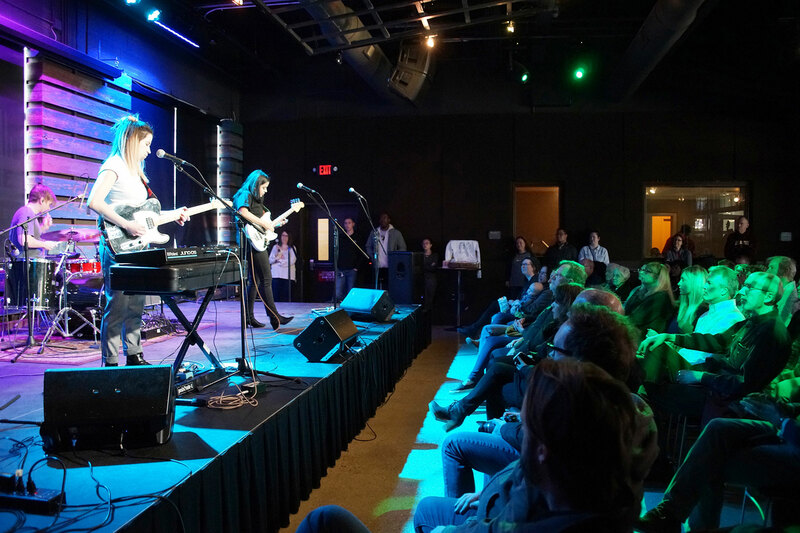 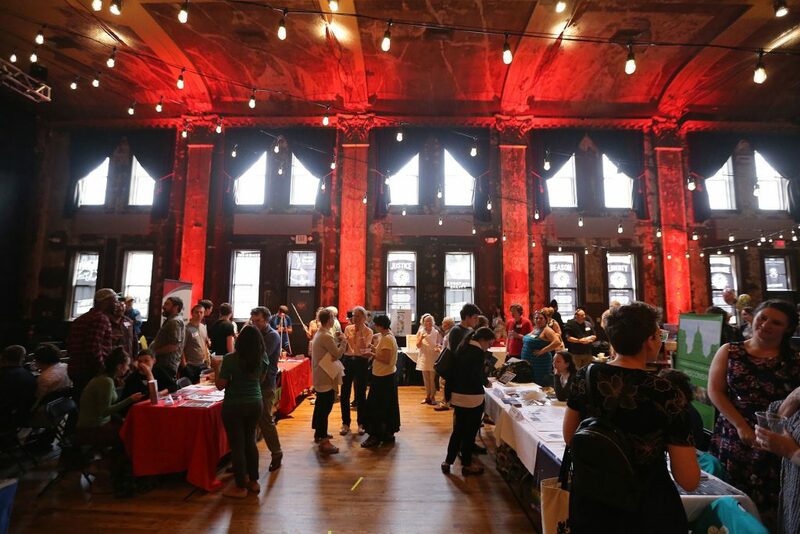 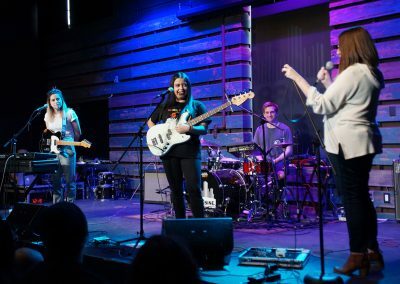 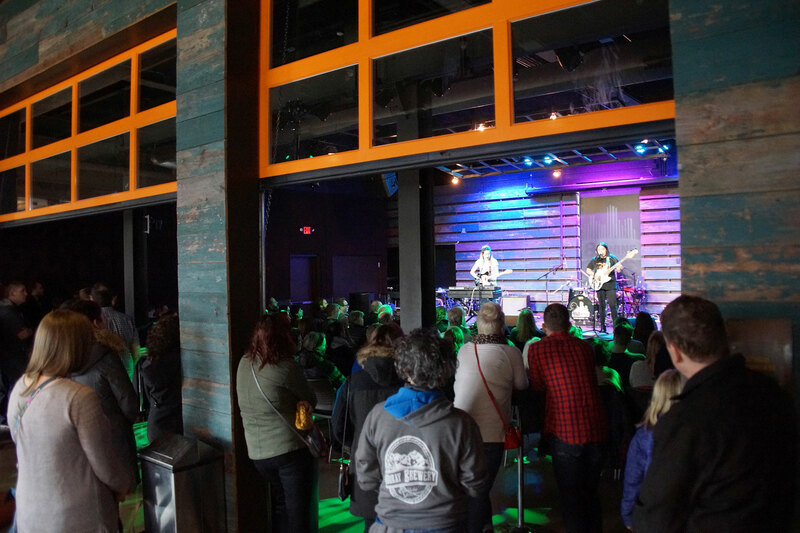 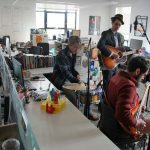 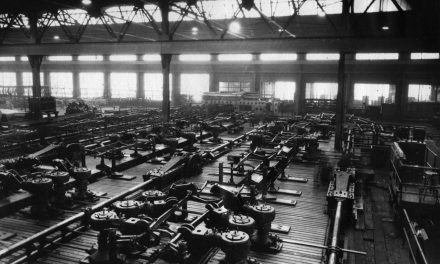 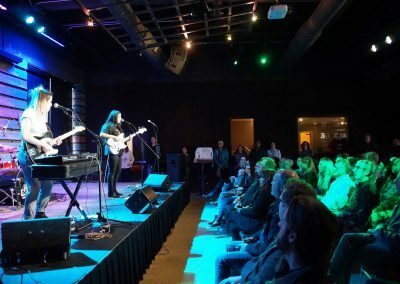 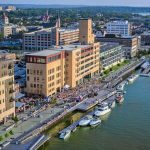 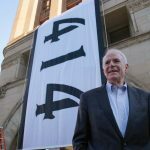 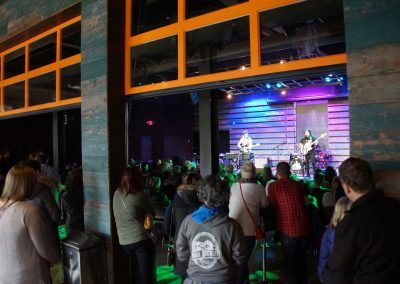 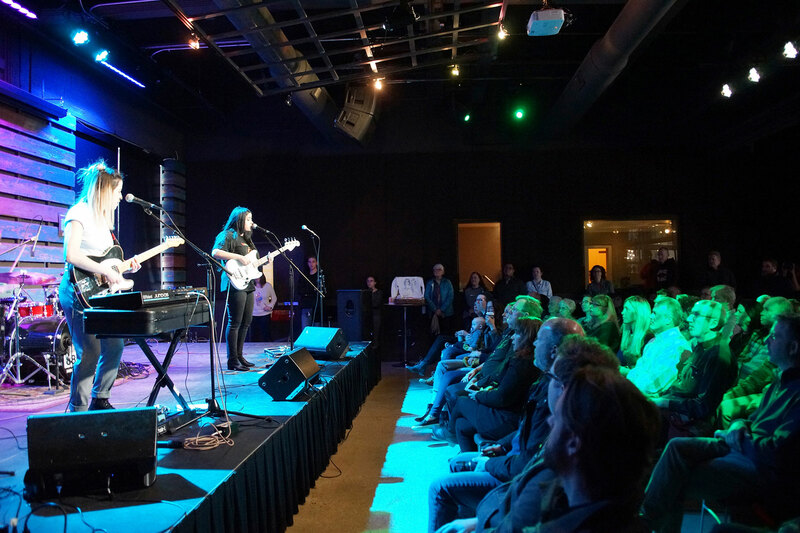 Three songs were played to the audience at RadioMilwaukee and broadcast live, with a special fourth song played just for supporters at the station. Morning on-air host Dori Zori also did a short interview with the sisters. 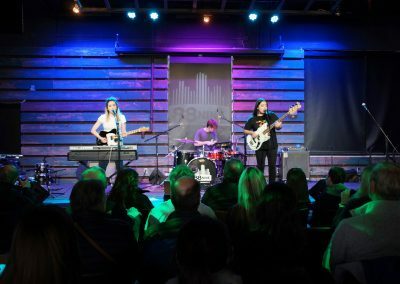 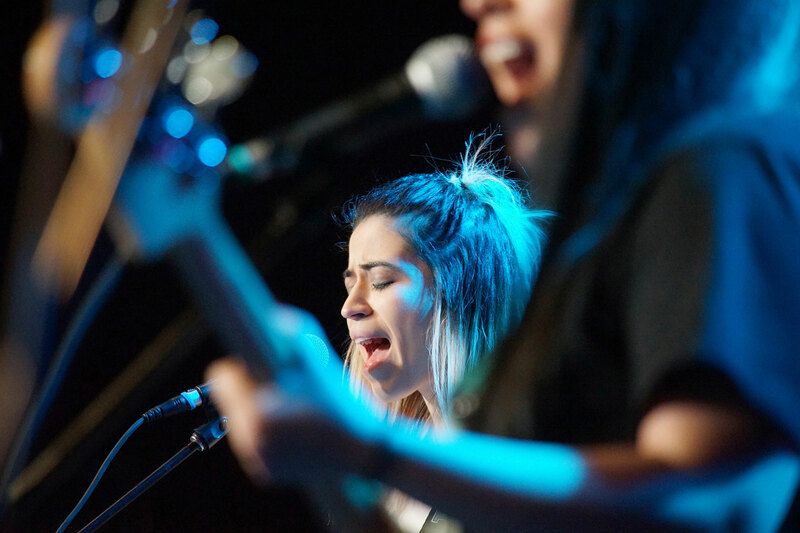 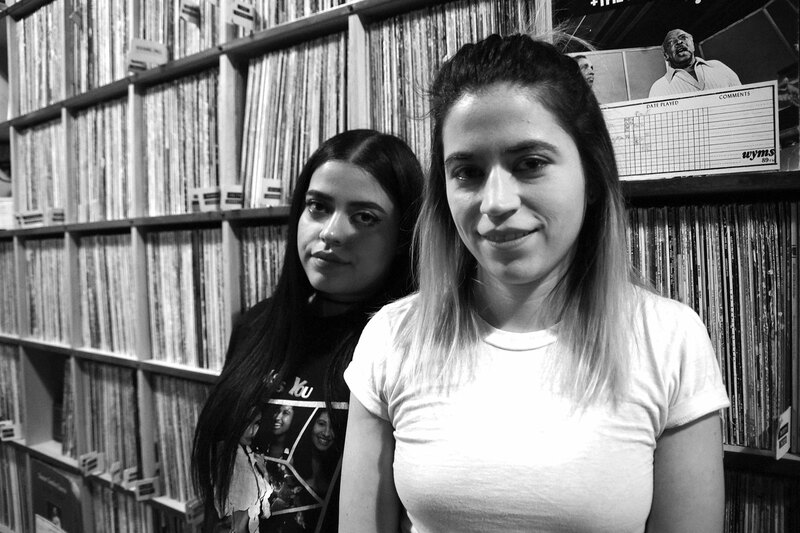 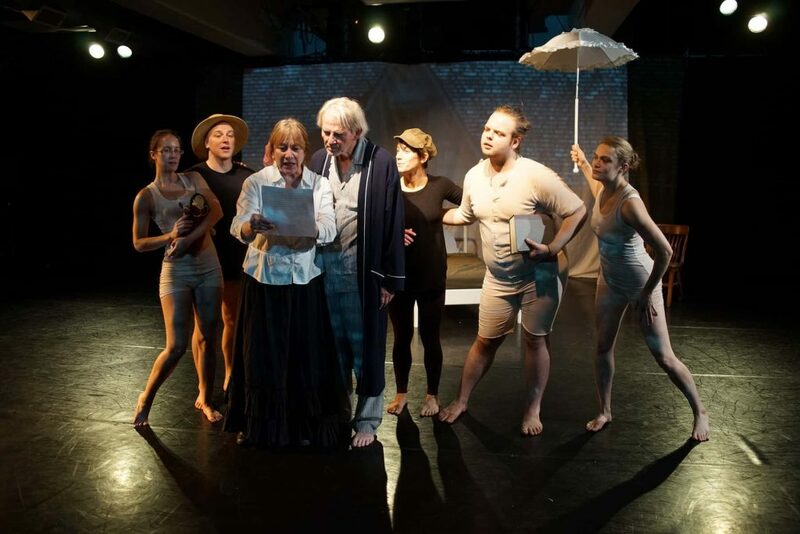 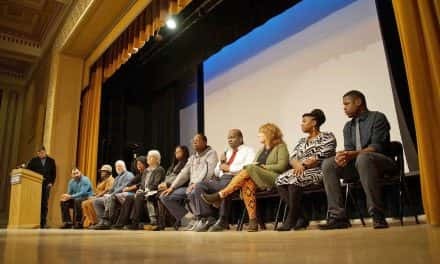 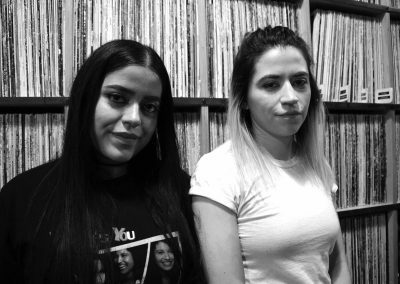 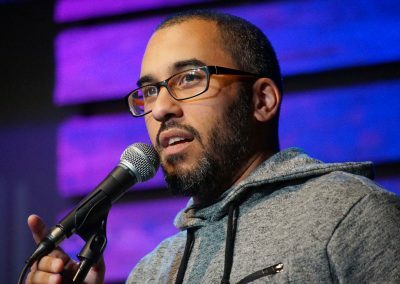 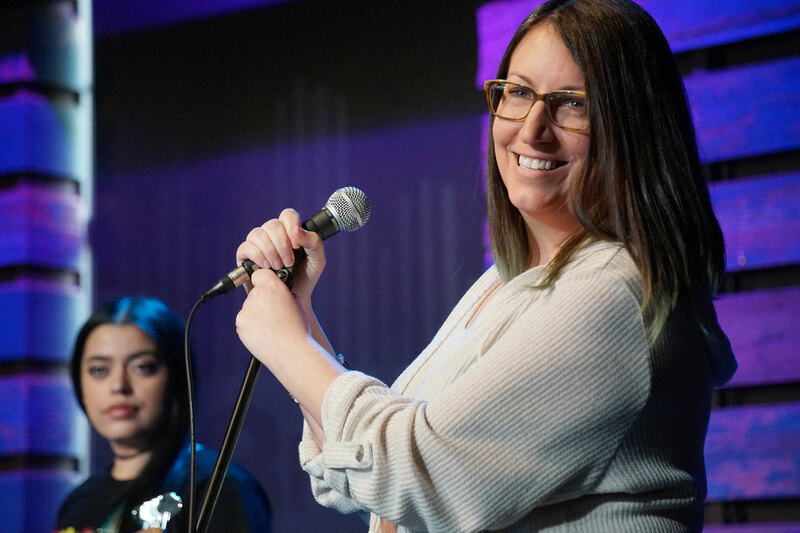 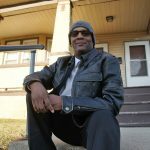 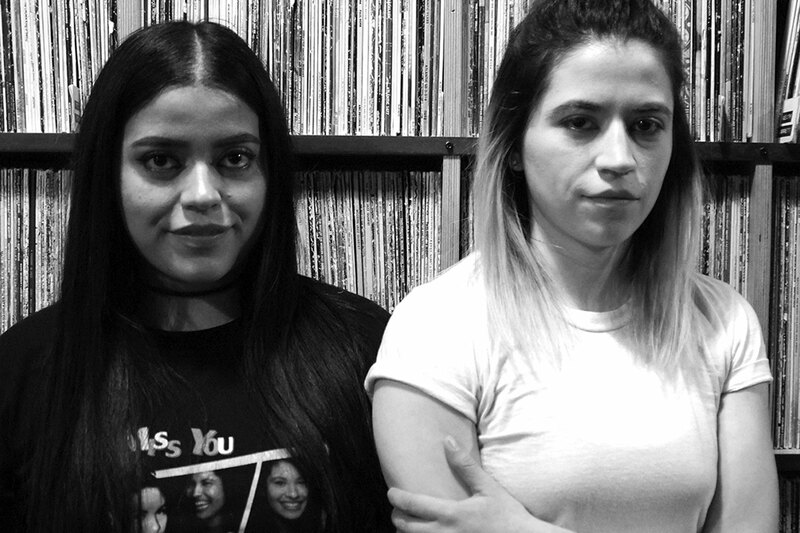 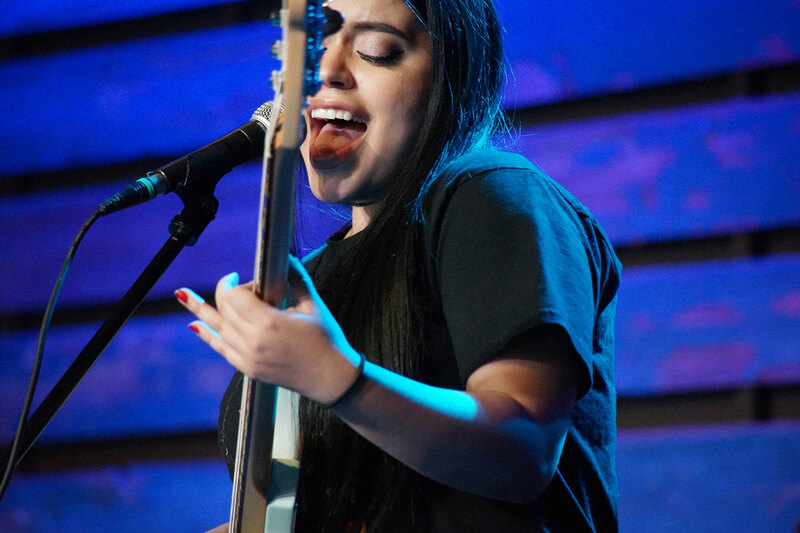 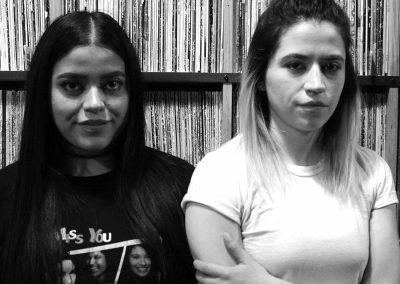 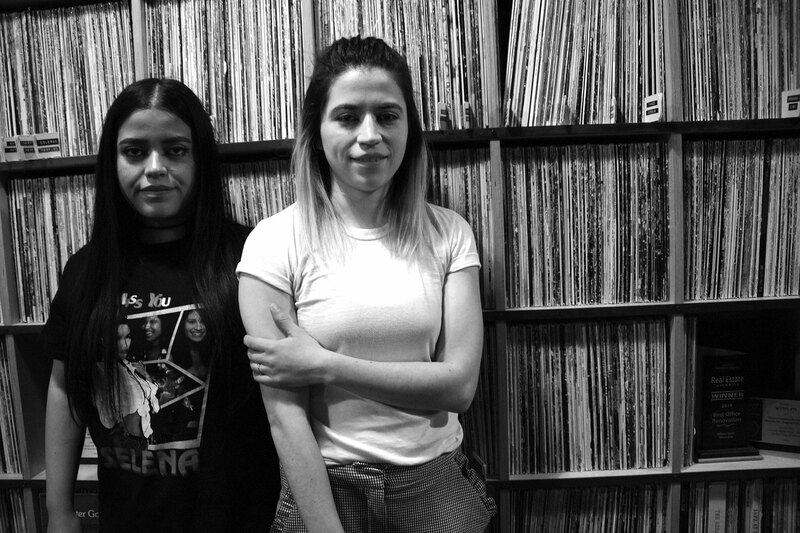 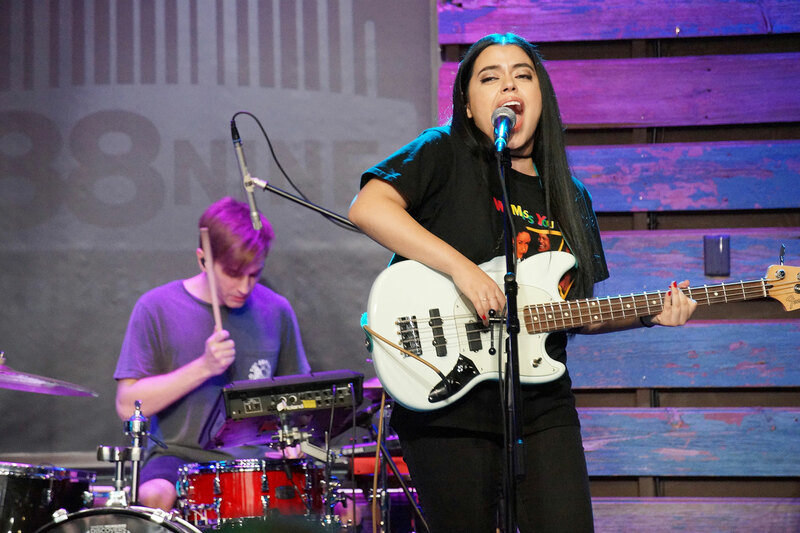 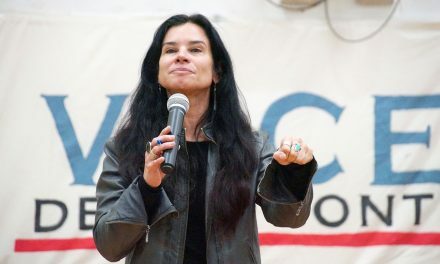 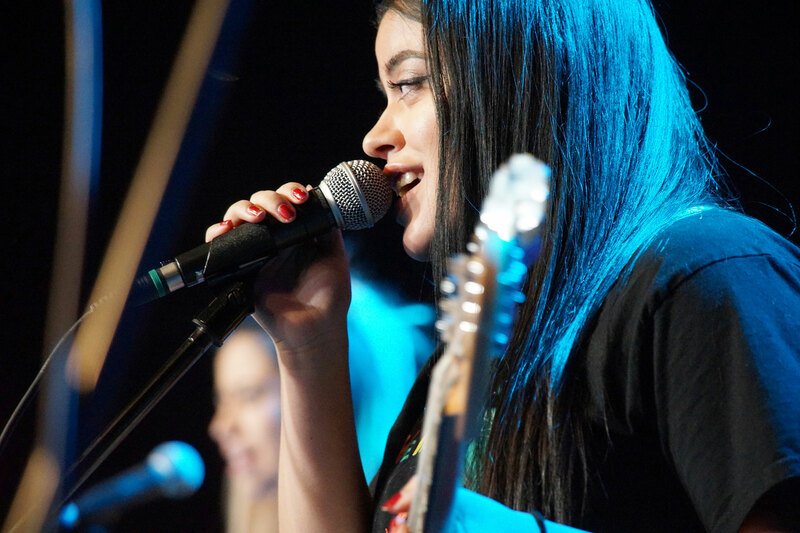 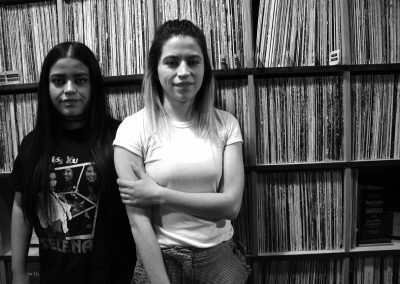 Audio from the Reyna performance and interview was recorded live at 88Nine, with companion images that capture the musical energy and fan enthusiasm during the event.